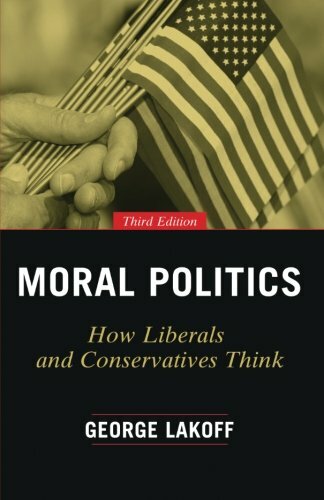 When Moral Politics was first published two decades ago, it redefined how Americans think and talk about politics through the lens of cognitive political psychology. Today, George Lakoff’s classic text has become all the more relevant, as liberals and conservatives have come to hold even more vigorously opposed views of the world, with the underlying assumptions of their respective worldviews at the level of basic morality. Even more so than when Lakoff wrote, liberals and conservatives simply have very different, deeply held beliefs about what is right and wrong. Lakoff reveals radically different but remarkably consistent conceptions of morality on both the left and right. Moral worldviews, like most deep ways of understanding the world, are unconscious—part of our “hard-wired” brain circuitry. When confronted with facts that don’t fit our moral worldview, our brains work automatically and unconsciously to ignore or reject these facts, and it takes extraordinary openness and awareness of this phenomenon to pay critical attention to the vast number of facts we are presented with each day. For this new edition, Lakoff has added a new preface and afterword, extending his observations to major ideological conflicts since the book’s original publication, from the Affordable Care Act to the wars in Iraq and Afghanistan, the recent financial crisis, and the effects of global warming. One might have hoped such massive changes would bring people together, but the reverse has actually happened; the divide between liberals and conservatives has become stronger and more virulent. To have any hope of bringing mutual respect to the current social and political divide, we need to clearly understand the problem and make it part of our contemporary public discourse. Moral Politics offers a much-needed wake-up call to both the left and the right.